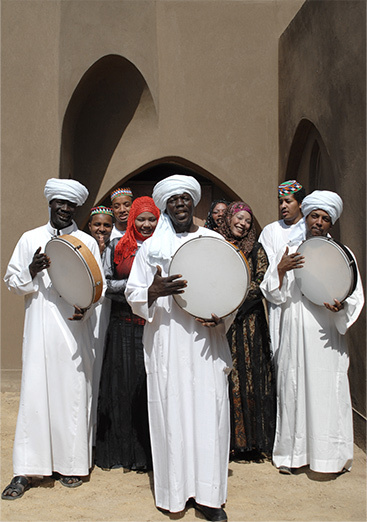 Nuba Nour are a Cairo-based collective of Nubian singers and master frame drummers. The band perform traditional Nubian music from antiquity along with modern folk songs reflecting the ongoing struggles of a life in exile for the Nubian people, following the loss of their Aswan homelands in Egypt during the 1960s. Nuba Nour celebrate Record Store Day 2014 with their debut vinyl release – a double A side 7” single, Dessy Lemon/Ready for Drowning, which pairs Nubian grooves from antiquity with a haunting interpretation of a classic album cut by Manic Street Preachers. Recorded at the legendary Monnow Valley Studios in Rockfield, Wales with the support of AFAC (The Arab Fund for Arts and Culture). 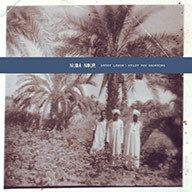 Featuring Hamoudi on Electric Oud, Tar Frame Drums and lead vocals from Little Hassan and Diaa. 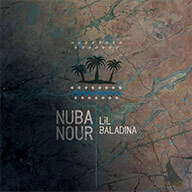 Recorded in Cairo with the support of AFAC (The Arab Fund for Arts and Culture), Nuba Nour’s debut single was written by the late, great Mohamed Wardi, and is a poetic lament to Nubia, with the song title Lil Baladina translating as The Night of our Country. 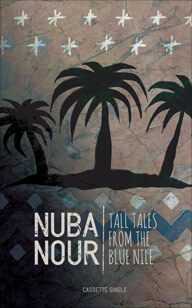 Featuring lead vocals by NN Oud player Ahmed Nakeib. Featuring Lil Baladina plus two tracks Nit Minium & Anne Leah Aun Atshera which are exclusive to cassette, it’s time to break out the cotton buds and re-commission your old tape deck so you can enjoy Nuba Nour’s dusty hypnotic grooves in analogue on this retro cassette single. All prices include postage and packing but please note delivery outside the UK may incur local taxes and customs duties levied in accordance to import regulations, over which we have no control.